It’s tough when you realize it’s time to say goodbye to a tree you’ve enjoyed for years. Because the decision can seem emotional, and can make a significant and lasting impact in your landscape, here’s a list of five signs it’s time to remove a tree. Hopefully this list will make the decision a little easier. A dead tree no longer brings shade or visual appeal to your yard. Plus, it can endanger your family, guests and property. Lots of shedding bark is one sign that the tree is probably dead. Another sign is falling branches; wind can break the branches of even healthy trees, but will break more and larger branches when a tree is dying. Leaning might mean the trunk is hollow, which often indicates (or leads to) tree death. And if you notice sprouts or lots of mushrooms/fungal growths at the bottom of the tree, especially combined with bare branches, your tree is past its prime. Sometimes, carpenter ants taking up residence in a tree trunk serves as the only sign that it’s time for a tree to go. It’s not only dead trees that pose a danger to people and property. You may have a large tree that’s leaning toward your home’s roof or the kids’ play area. If you know the tree is old, especially if it’s top-heavy or in a spot with strong winds that can push it or a broken branch toward your home, it might be time to remove it. The same is true of trees too close to power lines or at the edge of your property where they could hurt a neighbor or pedestrian. Some trees are perfectly fine until damaged in a storm, when you might notice large cracked branches, damaged trunks or unstable ground around the roots. Other trees may have grown into an odd shape (possibly because of monsoon damage, improper pruning, or disease), leaving branches that are structurally unsound and at risk of failure. Not all damage is sudden. Sometimes tree roots or branches can grow differently than planned, ending up in places where you don’t want them. Roots can invade sidewalks, driveways, plumbing pipes and even home foundations. This often is a smart reason to remove a tree. Not realizing a mature tree eventually will invade nearby structures is one mistake people can make when first planting. Trees grow much larger than many people expect so they’re often planted too close to structures or other trees. Eventually, they need to be removed. Sometimes, homeowners choose the wrong tree for the conditions, climate, or water needs and it simply doesn’t do well. Other times, the tree becomes more maintenance than an owner expects because it’s messy (for example, dropping leaves or seed pods into the pool) or regularly needs heavy trimming to keep it the “right” size. And sometimes it’s just not what you expected it to be – maybe it scratches passersby with its thorns or it doesn’t provide enough shade or it’s not as pretty as you hoped. Renovating your landscape or redoing one that comes with a new home can lead to some tough tree decisions. The tree might no longer fit, casting shade in the wrong place or crowding plants or structures. Often, significant changes to the surrounding landscape affects the existing tree’s health and leads to recommendation of replacement. 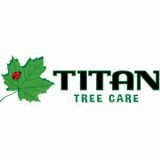 Of course, you can avoid some of the reasons for removing trees by choosing the right tree for the right spot in your yard and always asking your tree care or landscaping professional about the tree’s growth habits, care and mature size. And it’s always wise to have only certified arborists inspect and remove problem trees.